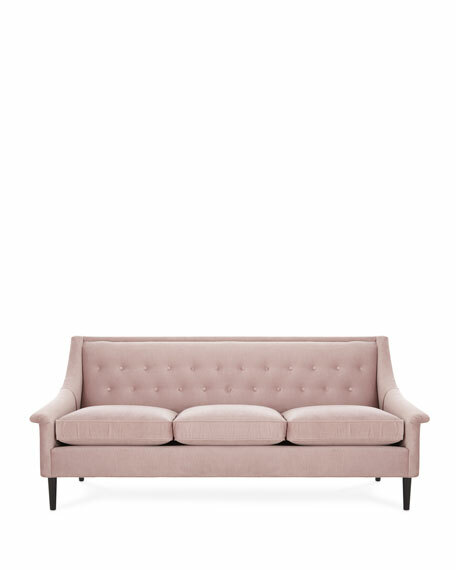 Handcrafted, button-tufted Mid Century modern sofa. 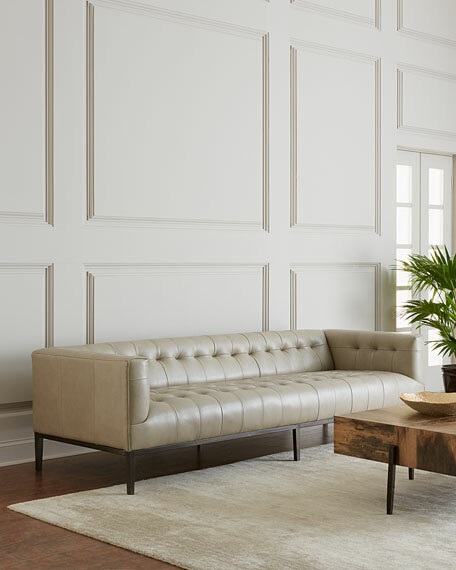 Overall, 82"W x 33"D x 34"T; seat height, 14.5"T.
Dusty Stone Tufted Leather Sofa 96"
Hand tufting lends equal parts comfort and sophistication to stone-colored leather and squared-off arms. 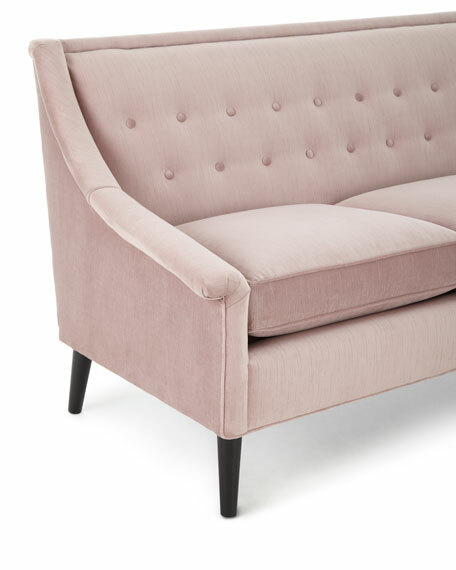 Slim gunmetal-toned legs add an industrial touch to clean, trend-forward seating.